As a company, iZotope has been putting out software and plugins for audio engineers of all types to use and enjoy since its launch in 2001. 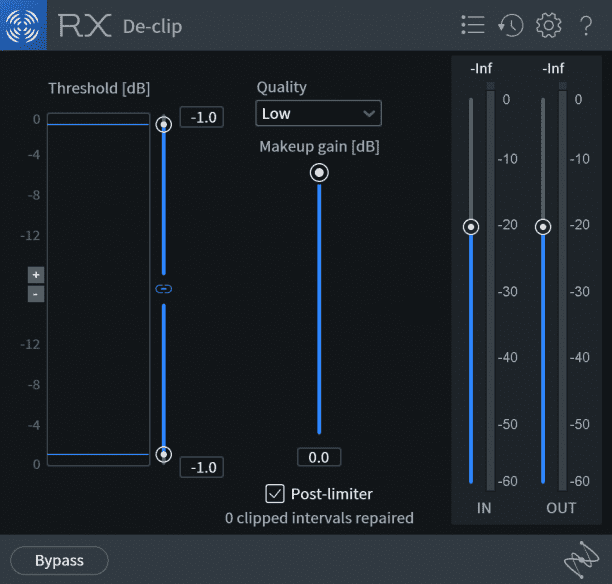 Since then, it has grown well into its products, and years after it launched its original version, RX audio suite is now considered by a vast majority of engineers to be an industry-standard toolkit for audio editing and repair. Now, years later, iZotope has set the bar even higher with the RX7 audio repair plugin suite. Luckily, we were granted the opportunity to try its full standard package out for ourselves, and boy does it live up to the hype. The design of the RX7 plugin pack is basic for the most part — it adheres to a simple color scheme of a royal blue, black, and grey. And when working on the spectral editor, some orange comes into play as well. Its fader-type controls for the most part are laid out either horizontally or vertically on a single slider, with a block containing numerical value displays off to the side. Other than that, there is nothing else within the pack as a whole that pops out to draw attention visually. With that said, the iZotope RX7’s design is the most lacking of its rating categories for us, however we all know that it is also the least important. We compared the plugins with the same names as those from the standard RX5 pack we owned as well, and noticed some minor, yet distinct improvements after they upgraded twice and grew into their respective RX7 versions. In “De-click,” the RX5 version contains features to edit sensitivity, input and output, whereas in RX7, you now get two more faders to adjust the frequency skew and click widening. 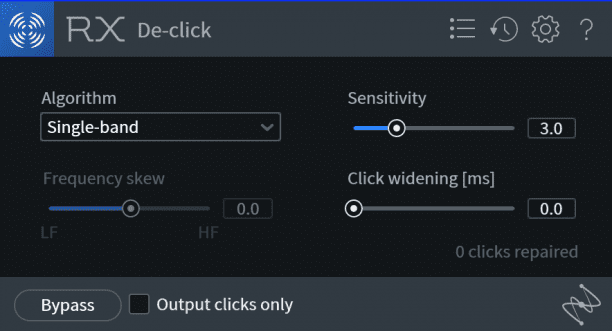 In RX5, “De-hum” provides adjustable input and output volume controls, and in RX7 they have removed these features as they are fairly unnecessary to its overall purpose. “Voice De-noise” in RX7 had a name change from what was originally called “Dialogue De-noise” in RX5. 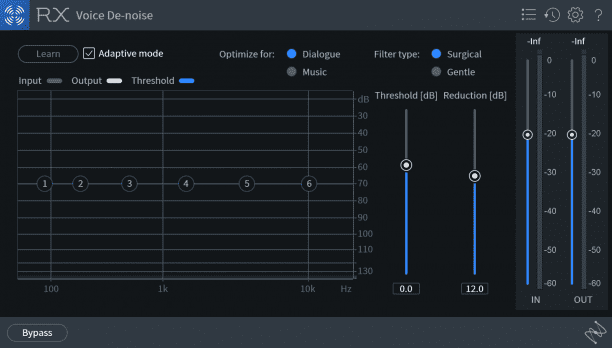 This is a very clarifying move on iZotope’s part, because the new version of the plugin includes optimization for either dialogue or music, as well as filter types for surgical or gentle repair types. 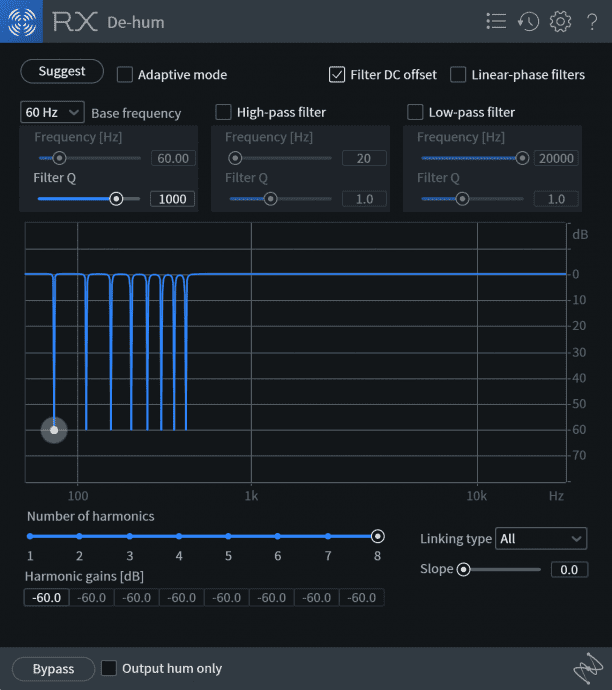 If you think all of that alone is a lot to take in, these listed features are just the tip of the iZotope RX7 iceberg, and like we mentioned before, they all work phenomenally in their own right. 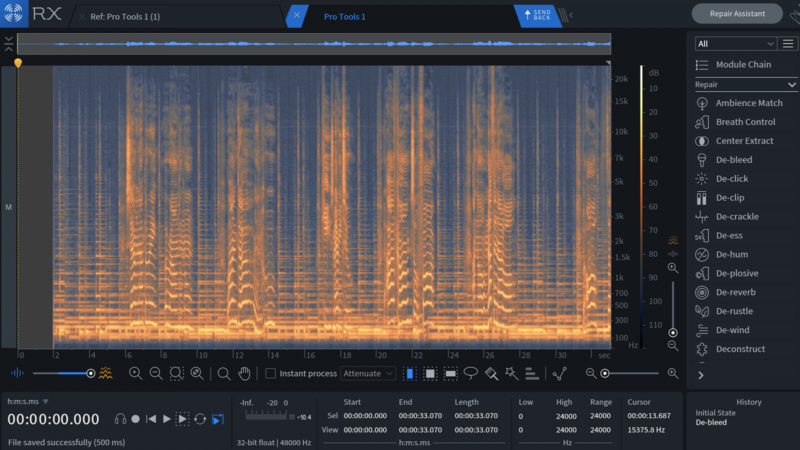 It is this vast amount of features that truly sets iZotope apart from any other audio editing software company out there today — it has found a way to make editing software that we can only describe as magic, as we will likely never be able to understand how it truly works. Ah, sound, the reason any of us are in this field and one of the reasons you are likely reading this review in the first place. Given the open sea of audio editing options available at your fingertips in RX7, it may be easy to to think, “well with that many features, iZotope likely spent all of its time cramming all of these editing features into one plugin bundle, and much less time making sure it actually sounds good.” Well I am pleased to inform you, that statement is absolutely incorrect. For the amount of power it maintains within its structure, the sonic integrity of the edited output files is great as well — with an apt enough engineer at the helm. For certain aspects like “De-bleed,” for example, when you tell RX7 to omit a click track from its original source, there are certain periods in the repaired audio where there is an audible ‘dip’ where the click track once was. This seems to come as a result of a combination of your brain expecting to hear a click track at those points, as well as an actual audible edit point. However, to be fair, when you are working with a source material that has click bleed which was overlooked upon recording in the first place, this type of editing is so intuitive of iZotope to provide in the first place, so some degree of audibility should be expected. Hands down, when listened to by anyone else, mixed in with the rest of your tracks, we doubt anyone could possibly notice that there was a click track there in the first place. As a whole, it’s easy to see why iZotope has deemed its own RX7 the “industry standard for audio repair,” because it truly is. While there are other plugins on the market that offer similar features to the iZotope RX7 package, none of them go as in-depth or sound as smooth and natural as this when paired with the right engineer on the job. iZotope has been releasing RX products and adding new features for a very long time now, so it’s no question that it has truly mastered the art of immersive audio repair toolkits, and RX7 tops them all off as the latest and greatest. 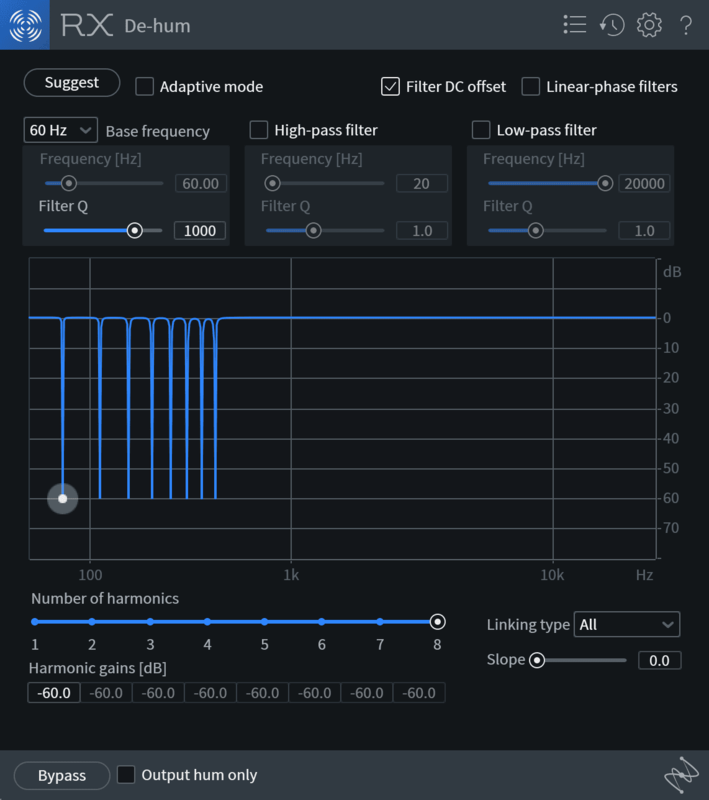 The iZotope RX7 Standard package rings up online at $399, while the iZotope RX7 Advanced package with even more features that allows users to fine-tune aspects of their audio at a level that others might not, comes with a price of $1,199. This may seem like a hefty dent in your wallet, but for the crazy amount of features you’ll receive with either of these packages, and an unbeatable sound output quality that no one can ignore — in our eyes, iZotope RX7 is a must-buy for any audio engineer. To learn more about iZotope RX7, feel free to visit the iZotope website to learn more, and if you’ve made your mind up that you’d like to purchase a package for yourself (which we hope you have), please use the links below.